Achieve your “green” timber frame home goals with SIPs. 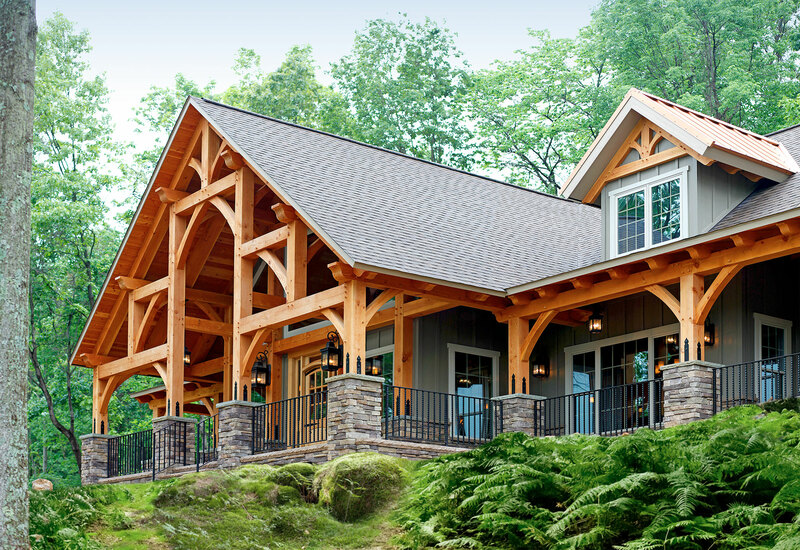 One of the many things that makes a timber frame home appealing to the modern homeowner is the sustainability and energy efficiency that timber framing affords. Green building practices and the use of structural insulated panels (SIPs) offer maximum energy efficiency and added strength by providing a tight building envelope that works well with timber frame materials. “In addition to securing our timber from well-managed forests, we use passive design techniques to take advantage of the natural climate in order to maintain thermal comfort,” Ebersol says.